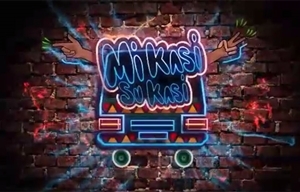 Mi Kasi Su Kasi is a South African docu-reality series that began life as a show revolving around township tours by celebrity guests, before being revamped in Season 2 to follow young people executing a creative vision in their township (or "kasi"). In the first season, the celebrity guests guide the presenters around the township where they grew up, sharing memorable moments and candid stories from their childhood. The second season showcases and celebrates the diverse offerings of South African kasis and their youth, meeting "kasi achievers" who host the show's presenters as they plan and execute their creative visions eKasi. The township, or the "Kasi" as it has come to be affectionately known by its inhabitants, is an important backdrop to South Africa's history. It has been home to some of South Africa's most influential citizens and continues to be a cradle where great minds, movers and shakers are born and bred in politics, the corporate world or in arts and culture. From the famous streets of Soweto and Umlazi to more incognito places like Seshego and Galeshiwe, all have a story to tell. The show aims to help positively change any negative ideas that remain in the minds of South Africans about our townships by exploring what makes each Kasi special. It seeks to instil a sense of "Kasi Pride" in the residents of townships and encourage them to celebrate and grow their communities through popular culture, history, social initiatives and innovative business. The executive producers of Mi Kasi Su Kasi in Season 1 were Jafta Mamabolo and Neo Ntlatleng. Ntlatleng and Keitumetse Qhali were the directors and the first season was written by Zola Nxumalo, Jafta Mamabolo and Lumko Johnson. The title music was by Bruce Retief. CHANNEL: SABC1 | This season focuses on kasi achievers, who host the show as they plan and execute their creative visions eKasi.